Nathan Adrian and Hallie Ivester are floating into marriage. 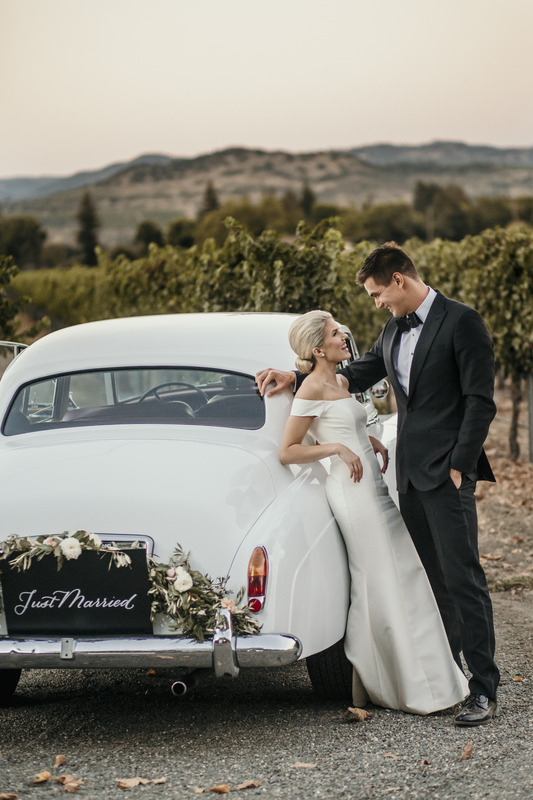 The five-time Olympic gold medalist and celebrated athlete married his longtime love this weekend in a breathtaking outdoor ceremony in Napa Valley. The bride looked resplendent in a white, off-the-shoulder, crepe gown by Carolina Herrera paired with a simple ballerina bun and a dreamy veil. 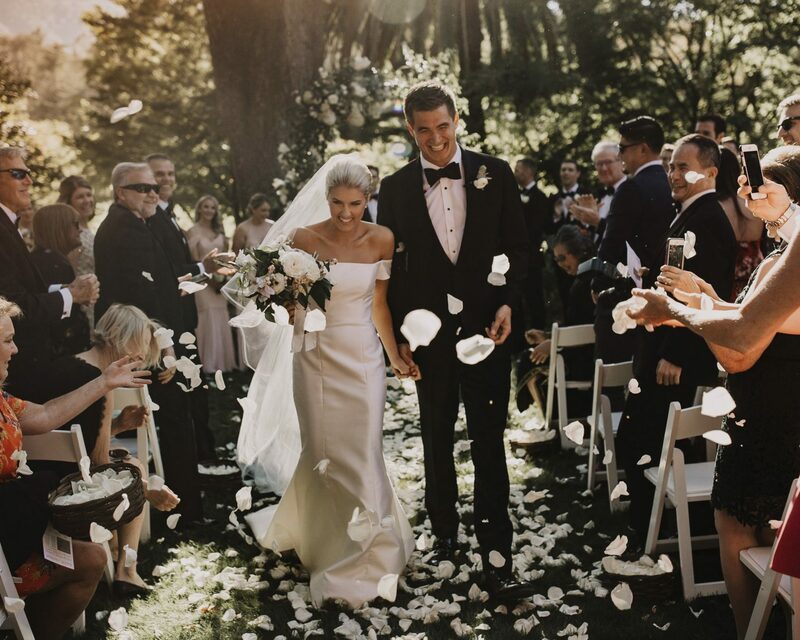 Of course, Adrian’s Olympic pals and teammates witnessed the nuptials, held at Beaulieu Garden, which provided an intimate-enough, nature-driven setting for the couple and their guests. Other photos from the nuptials, planned by Lally Events, show the joyous moment when Adrian and Ivester were pronounced husband and wife, as well as a sweet smooch exchanged between the couple from their first dance. The pair first met a friend’s game night in 2012. “We were all post-grad and we had finished our degrees at Cal… Hallie ended up coming over [and] I don’t even know what we played,” Adrian told The Knot in an exclusive interview last December. 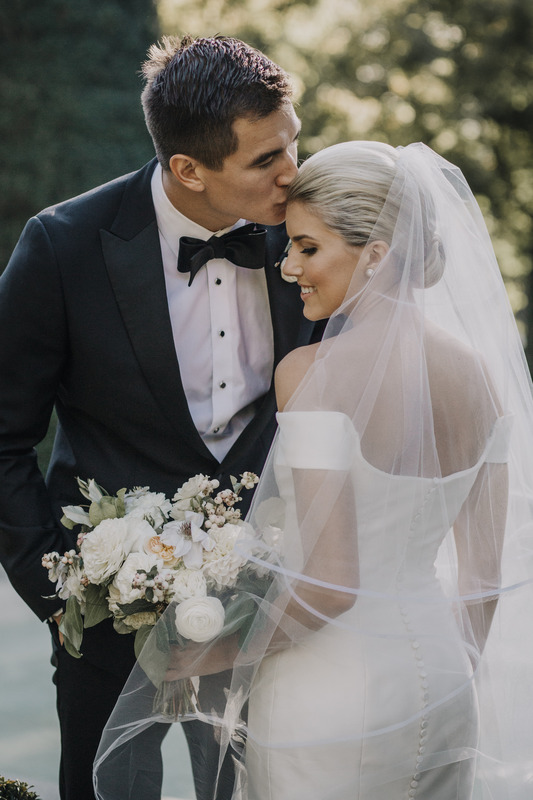 Be the first to comment on "Olympian Nathan Adrian Marries Hallie Ivester: See the First Wedding Photos"